Football is a sports played and enjoyed by millions of people around the world. Though arguably, most of the people that enjoy football would obviously want to get involved in the game as players. For those who cannot play it due to insufficient passion or lack of fitness, there are games catering to them such as FIFA or Pro Evolution Soccer that make games as realistic as the action on the pitch itself. But what about those who aspire to become the greatest manager in the world? Today's game is downright for them! Football Manager 2013 is just released earlier this month but it's not getting the recognition it deserves thanks to FIFA 13 which has been getting all the hype this year but here are 5 reasons why Football Manager 13 might be the perfect game for football enthusiasts! 1. 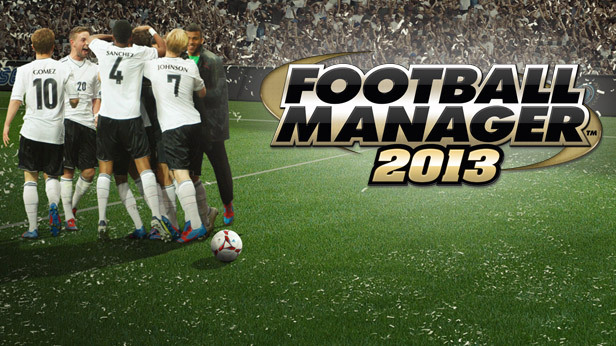 Over 900 improvements to its predecessor, Football Manager 2012, which was the best manager simulation game for its year. The new features include, Classic Mode or generally referred to as FMC (In case you don't know what the acronym stands for when you're in a forum). Classic mode means that you'll get to play the game without all the hassle of handling budget, team talk etc. This is most suitable for people who'd wanna play the game but get straight to the point. 2. Larger network gaming. With the new integrated steam system, players can now expect an easier way to play network mode with their friends all over the world! This also means a global ranking system for you Pwners to brag your achievements to the whole world! Pwning people is always good! 3. More comprehensive scouting and reports. Yes, perhaps the most important thing you'll need in the game! You know you're gonna get addicted and stuck to the game for sure and by the time it's 2016 in the game, renown players like Steven Gerrard, Robin Van Persie etc are going to be retired for sure! This system will help you search for new talents more comprehensively so that you can get the next Lionel Messi or Cristiano Ronaldo. 4. Better match engine. For those meticulous gamers like me, you'll find the need for the game to be ultra-extensive like the details of the stadiums and so on. Of course this game might not have the best graphics comparing to FIFA 13 on console, the directors of the game made sure that they go to specific details which means that if you're using a lower league team desperate in need for a new stadium, you'll see that the stadium would need some paint job etc. The environment also affects the gameplay so if it's snowing or the wind is too strong, players will have a hard time controlling the ball. This will make you rethink your strategy. Pretty extensive isn't it? 5 Last but not least, the final reason to why this game will suit most gamers who're looking for some manager simulation games, it supports the MAC OS! Yes, you heard it right! For mac users, it must've been like they've struck a gold mine as there are very few games as renown as this available for the mac and they won't be able to play it without installing some intricate software to act as a mirror but the directors of this game have not forgotten the mac users which is growing rapidly by the day. So there you have it, 5 reasons to why Football Manager 2013 might be the game that will suit most football enthusiasts. Extensive gameplay, multi-platform, over 900 improvements and larger networking! Be sure to stay tune for more game reviews and do share with us your Pwning moments at this game or any other games on our FaceBook page: https://www.facebook.com/PwnZwn. Keep on Pwning!